When you choose to work with Heartlands Building Company, you know without a doubt you are working with an award winning, established local company. We have an extensive record of quality homes and additions designed and built throughout the St. Louis metropolitan area. Our team has worked with owners of some of the region’s finest homes to enhance their properties. We look forward to working with you. 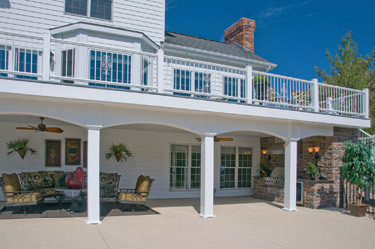 For a preview of how Heartlands custom home additions and outdoor living can enhance your home, visit our photo gallery of projects designed and built by Heartlands. To arrange a free at-home consultation on a design and build project, send us an email or call the showroom office at 636-728-0003. Heartlands provides you with an unmatched level of structural craftsmanship and attention to detail. As an established local company, this has earned the loyalty of our customers, who refer us to others and contact us for their next project. The team at Heartlands includes professionally trained carpenters, engineers, and field and office support who combine to offer a seamless design and build experience. From new homes to screen room additions and home renovations, we tell our customers to set their expectations high and we will meet them! You will experience our commitment to excellence and customer service from your very first visit through the completion of your dream space. We prove that home building and renovation can be a truly rewarding and pleasant experience. Our projects have been featured in the Lifestyle magazine of the St. Louis Post-Dispatch, Qualified Remodeler Magazine (pages 64-67), and The Knoxville Magazine; received awards from the National Association of the Remodeling Industry (“NARI”); and been selected for tours by members of the St. Louis Home Builders Association. Heartlands Building Company is an accredited member in good standing of the St. Louis Home Builders Association. We are also an A+ rated member of the Better Business Bureau and have earned favorable comments from customers on various social media sites. 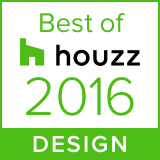 Heartlands was awarded “Best of Houzz” for Design by Houzz, the leading platform for home remodeling and design. 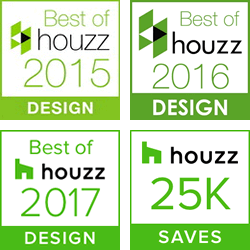 Our established local company was chosen by more than 25 million monthly unique users who comprise the Houzz community from among more than 500,000 active home building, remodeling, and design industry professionals. The Best Of Houzz award is given in two categories: Design and Customer Satisfaction. 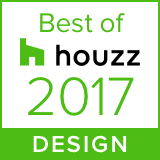 Design award winners’ work was the most popular among the more than 25 million monthly users on Houzz, known as “Houzzers. Heartlands originally started as a specialty builder, designing and developing screen rooms, outdoor spaces, and retractable screen doors. We offer high-quality, customized versions of these products not otherwise available in the marketplace. This service remains the core of our business. To give our clients the utmost quality, our business evolved to include the design and manufacture of selected products. We did this to enhance your experience of the great outdoors. With our portfolio of unique products and The Screen Team®, consisting of individual members from the team at Heartlands, we provide a truly custom experience designed for you and your family. Enhance your enjoyment of the great outdoors with the complete line of products offered by Heartlands. 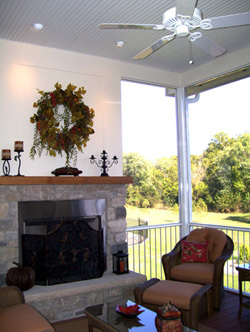 We offer anything from retractable screen doors, decking, railing, fixed screen systems, elaborate outdoor kitchens, and remote-controlled solar screens. We design our products and services to make your outdoor experience as exciting and luxurious as the rest of your lifestyle. You can find our products directly through Heartlands or through your builder or contractor. Our photo gallery provides a selection of past projects, each individually designed and built by Heartlands. For a free in-home consultation on any design and build project whether a screen room, custom build or addition, or to schedule an appointment to visit our showroom, please contact us or call us at 636-728-0003. Discover the Heartlands experience and you will know why we are clearly the best.